Warm weather makes me want to wear bright colors and lately I am a little obsessed with lime-yellow. No, not lime green or yellow, lime-yellow. I love this chiffon top I recently got from my work. I can never get enough button up chiffon tops with a collar, they are just so versatile. And look at this one... gorgeous neon lime-yellow color, cute little buttons, and lovely pleated details! I love it so much that when my regional manager asked us to do a feature on Sway's facebook page, I chose this top for us to showcase. My two assistant managers and I wore this same top in three totally different looks. You can check out the feature here. 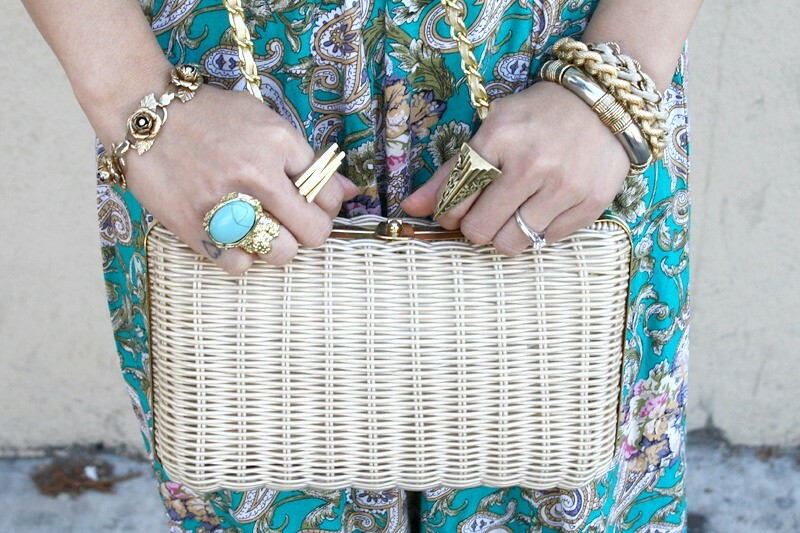 I paired it with this beautiful vintage skirt I received as a gift from Alicja Vintage. This is the prettiest paisley print I have ever seen, slightly baroque yet ultra feminine. I just love the way they look together! Alicja Vintage has a lovely selection of vintage clothing, you should check it out! You can use my promo code ITSME to get 20% off your purchase! 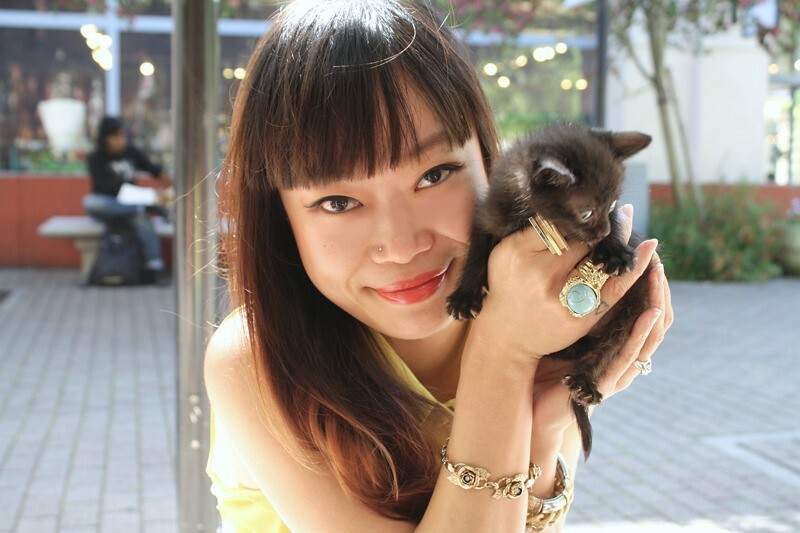 After the shoot, I saw this little choco kitty with blue eyes! So darling I had to take a picture with him! Lime-yellow pleated chiffon top with collar by Better B from my work Sway. Vintage paisley maxi skirt by Norton McNaughton c/o Alicja Vintage. I just started a blog recently, any tips or support is greatly appreciated. gorgeous colors and omg that kitty!!! The top is gorgeous! And i really love the skirt you paired it with! Wow this outfit is perfect! The colours, patterns, textures, how you put your outfits together is so unique and intelligently done I think it's wonderful!